Sheldon & Helmet are my only friends right now. Do birds have blood? I’ve never seen bird blood. You, Capital P, my very well be the dumbest person on the face of the planet. 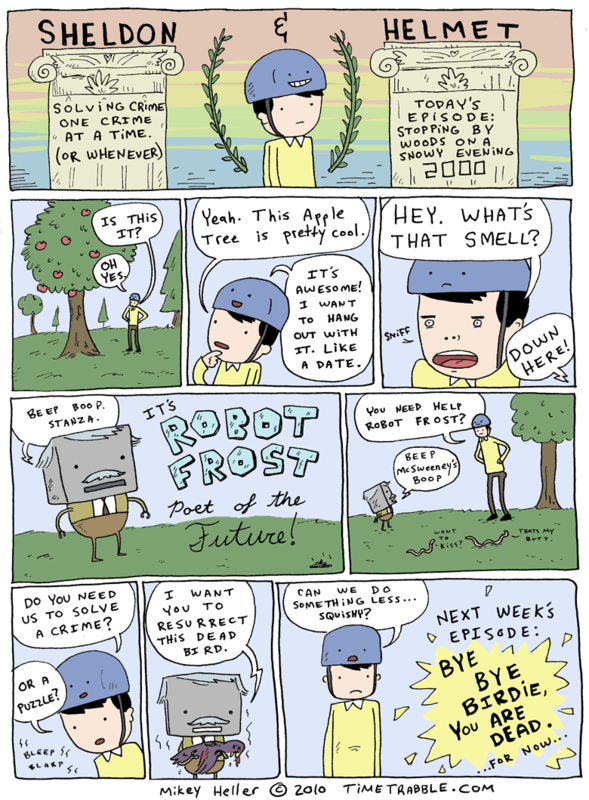 Did Robot Frost poop or use it as a good conversation ice breaker? It looked more like mid-day to me. I would gladly be your only friend. And I would not mind sporting that classy helmet as well.